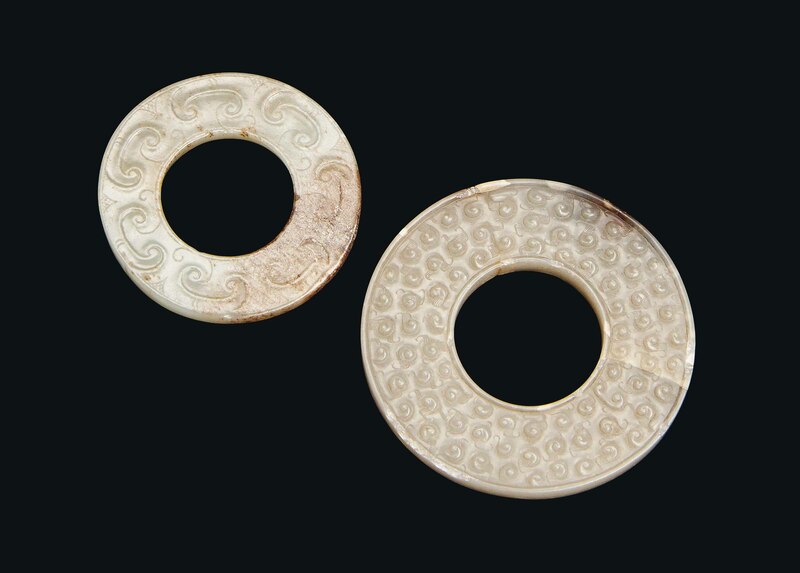 The first is carved with raised scrolls to both sides, the stone is of a dark celadon tone with mottled inclusions. The second is decorated with C-scrolls, the stone is of a celadon and mottled tone with minor areas of calcification. The largest 2½ in. (6.4 cm.) diam. From a Private East Asian Collector (d. 1994). The first, acquired in 1985 from a private collector. The second, acquired in 1974 from a private collector.